EE has announced that it's switching on its double speed 4G network in 12 UK cities on July 4, giving consumers a theoretical top speed of 150Mbps. In reality, however, users are unlikely to see that kind of speed on their smartphones, with EE revealing customers can expect speeds around 24 - 30Mbps on average. This additional grunt is being provided at no extra cost and, according to EE, current 4G users can expect to see download times for apps, games, movies and so on halved. If you're hankering for some double speed goodness from your 4G EE contract then you'll need to make sure you're in one of the following cities: Birmingham, Bristol, Cardiff, Derby, Edinburgh, Glasgow, Leeds, Liverpool, London, Manchester, Nottingham and Sheffield. That coverage, EE claims, means that from July 4, 24 per cent of the UK population will be covered by its double speed 4G network. We heard a few weeks ago about EE's plans for double speed 4G, at which point it also mentioned it would be bringing shared 4G plans in - although information was scarce. Well now we know that you'll be able to pick up a shared 4G plan from July 17 over at EE, and these are aimed at families, couples and individuals with multiple devices. A family can have up to five people on one shared plan, with everyone getting unlimited calls and texts while data is shared from one central pot. An additional data SIM can be added for just £5, while family members/a loved one will cost an extra £12 per month each on a SIM-only deal, or £22 per month if they want a 4G handset thrown in too. All charges are collated into one central bill, you can choose up to 20GB of shared data in the contract, and extra data can be purchased - which may be required if you're putting your children onto the shared plan. 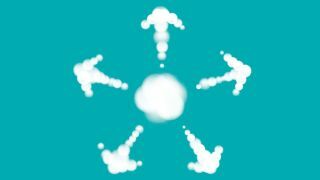 It's clear that EE is ramping up its 4G efforts ahead of its rivals O2, Three and Vodafone launching their LTE services in the coming months, but we'll have to wait and see if it's done enough to stay on top. Shared Plans aren't the only service EE is launching on July 17, with its mobile and fibre broadband packages also coming online at the same time - the latter of which sports the UK's first AC-enabled wireless router for improved signal around the home.